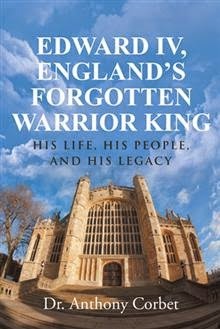 Edward IV, England’s Forgotten Warrior King by Dr. Anthony Corbet Book Feature – Win a $25 Amazon Gift Card! Anthony is giving away a $25 Amazon Gift Card! This giveaway begins March 16 and ends on March 27. Winners will be contacted via email on Monday, March 30.